Do you want a luxurious giveaway? Yes. I cannot hear! Yes! What? I cannot hear! Yes!!! You got it. What do we play this time about? About the world´s most expensive cosmetics - La Prairie. The most curious of you will win 9 miniaturs consisting of creams and serums from La Prairie. To engage in this giveawaye is simple as always. Just follow this blog via GFC and leave your email. If you want to increase your chances, share the giveaway on Facebook or on Twitter. Giveaway is open internationally and will run until 24.2.2016. I cross my fingers for you! Chcete luxusnú giveaway? Áno. Nepočujem! Áno! Čo? Nepočujem! Áno!!! Máte ju mať. O čo, že sa to bude hrať? O najdrahšiu kozmetiku na svete – La Prairie. Jedna z vás získa na vyskúšanie 9 miniatúr krémov a sér od La Prairie. Zapojiť sa do giveawaye je jednoduché ako vždy. Stačí sledovať tento blog cez GFC a zanechať na seba email. Keď chcete vaše šance zvýšiť, zdieľajte giveaway na Facebooku alebo na Twitteri. Giveaway je otvorená medzinárodne a pobeží do 24.2.2016. Thank you very much! Fingers crossed!! I love la priaire, thank you! 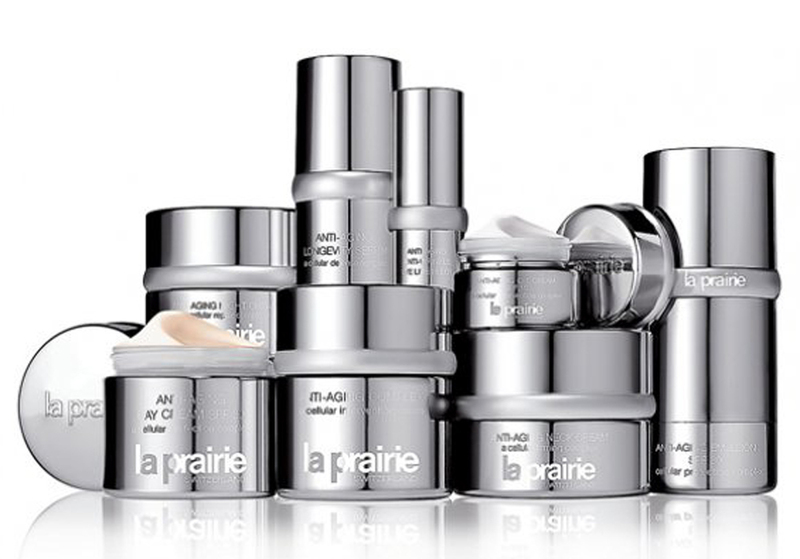 The GA is really fantastic, the products are amazing , La Prairie could be a suprise for anyone! thank you for offering this prize to us! I love this luxury brand! Entered in giveaway. Very beautiful gift you are giving to followers. I hope win la prairie! Thanks I'm hope the win!! Thank you i hope to win and try the products(the last step doesn't open the page,so i comment here)..
You always choose the best for us!! Excellent products, but I haven't tried them yet. Wow!!! Amazing gift! Good luck everyone! Tohle si určitě nenechám ujít! Oh goodness, this give-away is the besst! I'm in for sure ;) Thank you so much for organizing this! Great Gifts! I hope to win! Amazing draw thank you for the opportunity to something so special and luxurious. I never had the chance to try these products hope Lady Luck will do me the honor!!! I would love to try this brand of creams. I would like to try this brand. Thanks for another contest. I also love your blog. Me apunto!! Me encantó el reportaje http://www.sheistheone.ch/2015/08/beauty-beauty-marathon-before-moet.html a ver si tengo suerte! I love this giveaway . hope to win! Love a pairie! Hope to win! I would love to try them <3 Thank you for the opportunity and have a nice day! I hope it's ok to leave a comment on here as your link is not working? it's just a error page?